What if there was a way to help your patients prevent joint pain by improving the health of their joints now? 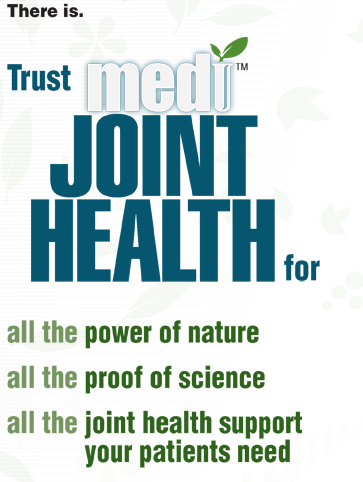 Introducing MediJoint Health™ from Medicopia™ - a revolutionary new medication that brings all the power of nature together with all the proof of medical science to provide a whole new level of joint care. Effectively, safely, naturally and without the need for surgery.